Hello! Welcome to the first day of Taylored Expressions September Sneak Peeks! We are celebrating 5 years of TE with a BIG birthday bash! We'll be partying all month long and there will be lots of fun games and prizes to be won during this release week! Today the Baker's Dozen kicks off 4 days of projects (2 days of peeks, release day and spotlight day). All products will be released on Thursday, September 5, @ 8 AM PST. 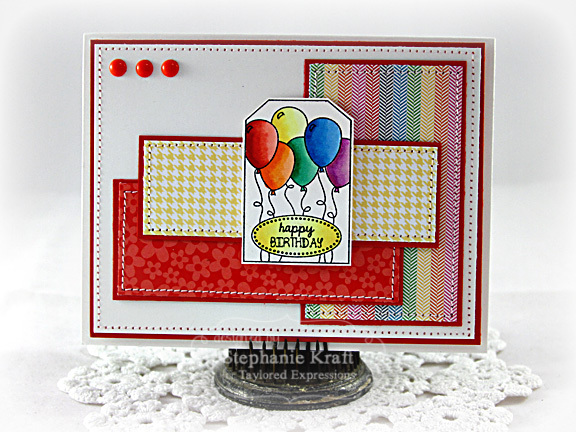 Today I am previewing a few new stamp sets and dies! My first 2 cards use Totally Tags - Occasions. 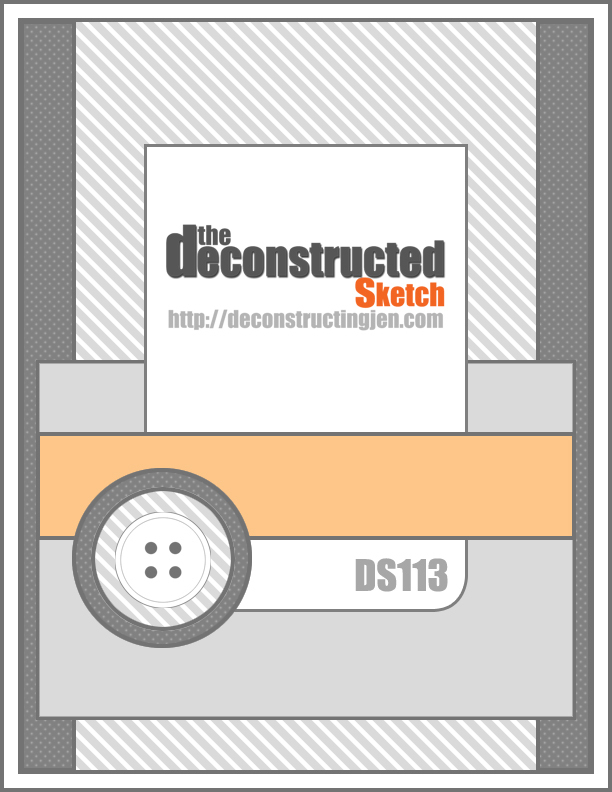 This is the 6th set in the collection that coordinates with the Totally Tags Dies. As the name implies, this full-size set is perfect for all of your all-occasion papercrafting projects. I've used both of the birthday-themed images today. 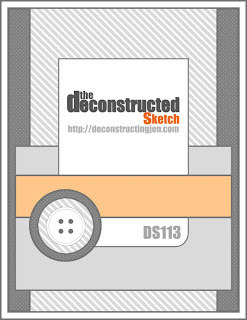 My first card uses only a portion of the entire image, which I cut with a 1.5" circle punch. I made a shaped card with the new Bloomin' Stacklets 1. I used it both for the base of my card and also to mat my punched image. I stamped the sentiment (from Many Minis - Occasions) onto a Fly Your Flag 3 die cut. The flag was wrapped around a trimmed Doodlebug Pixie. Next up is the fun balloon birthday image. I colored the birthday balloons and die cut the mini tag with the Totally Tags Die. My layout is from Mojo 301. 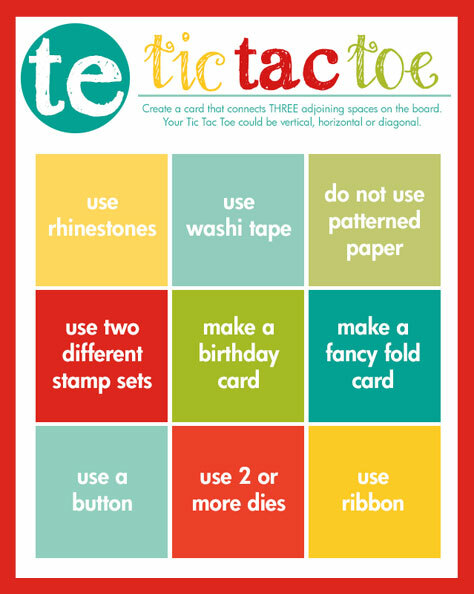 Since today's party game is Tic Tac Toe, my next cards use the bottom row (use a button, use 2 or more dies, use ribbon) of the fun Tic Tac Toe board that Taylor created. You are invited to play along by creating a card using the Tic Tac Toe board and uploading your card to Splitcoast Stampers using the keyword TETICTACTOE. TE stamps are not required to play. The prize is 5 TE gift certificates! For all the details, please visit Taylor's blog. Thanks so much for stopping by! I'll be back tomorrow with more peeks! Accessories: Taylored Dies: Bloomin’ Stacklets 1, Fly Your Flag 3 (TE); 1.5” Circle Punch (EK Success), Markers (Copic), Pixies – Swimming Pool (Doodlebug), Foam tape, Thread, Sewing machine. Accessories: Taylored Dies: Totally Tags (TE), Markers (Copic), Enamel Dots (MME), Foam tape, Thread, Sewing machine. Accessories: Taylored Dies: Labels Stacklets 6, Party Banner Border (TE); Round-it-All (Zutter), Lipstick Spica glitter pen, Ribbon, Button, Foam tape, Thread, Sewing machine. 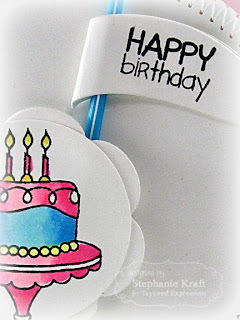 Accessories: Taylored Dies: Labels Stacklets 6, Party Banner Border (TE); Round-it-All (Zutter), Markers (Copic), Ribbon, Button, Foam tape, Thread, Sewing machine. Love your projects I can tell my card will be smoking getting what I'll have added to my wish list from this release. So cute, Steph! I love how you used the little pixie to make a flag for your card! Everything is simple adorable! 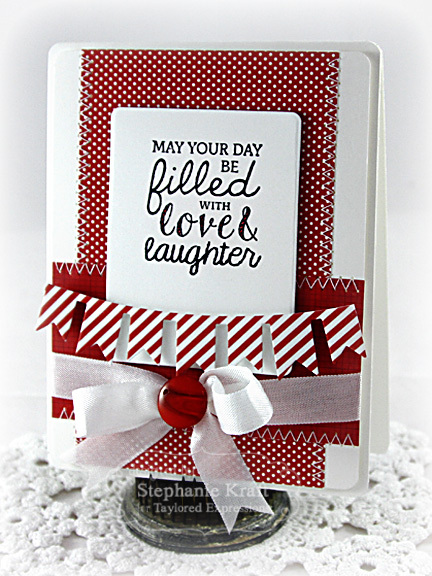 All of your projects are amazing, Stephanie...I especially love how crisp the white/red and the white/blue cards are! Love them! I love all your cards, Stephanie...especially the first round card...it's sooo cute and how on earth did you ever sew around the circle so perfectly....WOW!!! Wowie!! these are all so Fabulous Stephanie!! 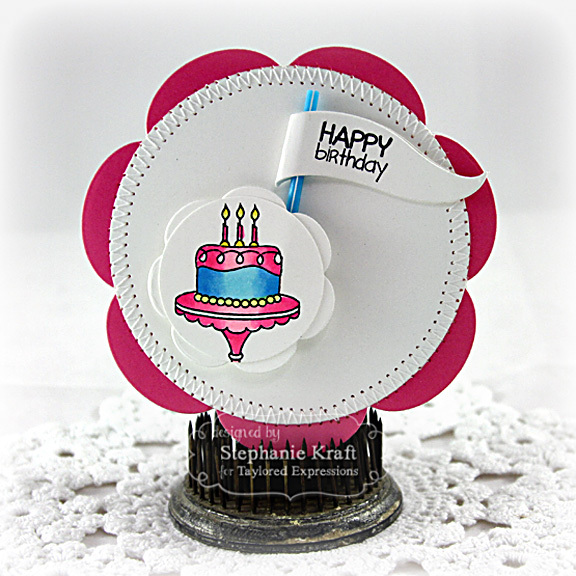 love the sweet circular card! And so clever to you se the pixies for your flags! 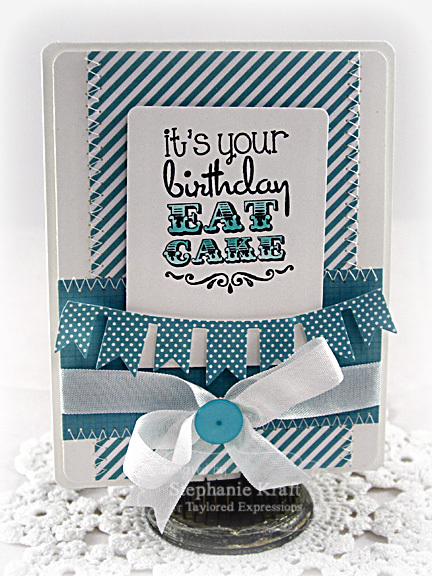 And your monochromatic cards are so crisp, fresh & Fun!! Love Every Wonderful detail Lady!